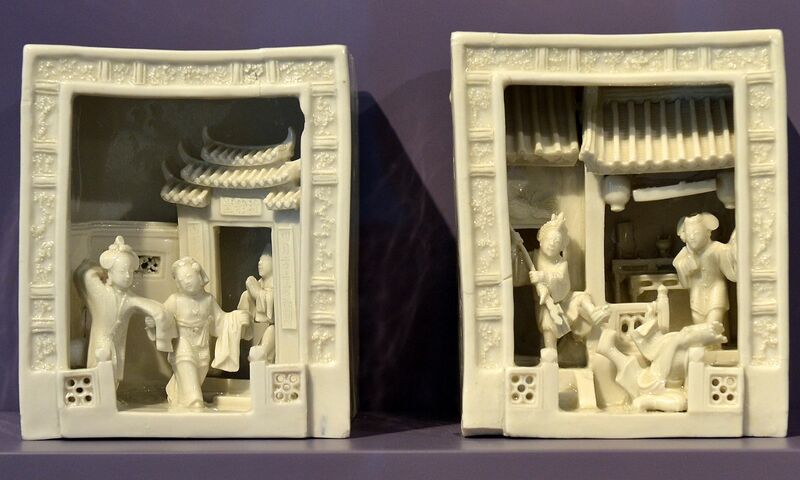 Ivory, cream, pork fat and white jade - these many shades of white are seen in the various types of Chinese porcelain on show in a permanent gallery at the Asian Civilisations Museum. The newly opened gallery, which occupies 333 sq m of the museum's top floor, offers a quick survey of Chinese ceramics. It features more than 300 objects made of baked clay - ranging from simple cups and pots that date as far back as 5000BC to exquisite porcelain vessels and ornamental objects from as recent as the 18th century. Many of these objects, which include recent acquisitions, have either never been displayed in the museum before or have not been in public view for some time. The crown jewel of the show is the collection of Dehua porcelain - white porcelain from Dehua county in Fujian province - that is displayed on the third floor of the museum's three-storey Kwek Hong Png wing, named after the late property czar. The first two floors of the natural light-filled wing, which highlights treasures from China, were unveiled last year. They were completed under the first phase of the museum's ongoing $25-million revamp. Dehua porcelain is well-known around the world for its distinctive white glaze and fine clay - allowing for delicate workmanship and highly expressive forms. The section on Dehua porcelain features the museum's fine collection of Dehua ware, which grew out of an important donation of more than 120 pieces by collectors Frank and Pamela Hickley. Dehua porcelain was especially popular in the 16th and 17th centuries due to flourishing trade between Fujian and the rest of the world. It was exported to Asia and Europe and it found a zealous collector in August the Strong (1670 to 1733), king of Poland and elector of Saxony, who owned more than 1,200 pieces of it. It was also Dehua porcelain that inspired European potters to make copies of them before they were able to successfully produce porcelain in the 1700s. Besides Dehua ware, the exhibition, which flows in a largely chronological order, includes sections on clay objects for burial and porcelain made for the imperial court. The museum's director, Dr Alan Chong, says: "At the end of the day, what we're trying to communicate is that these things have an eternal beauty. "These are things that can be appreciated over thousands of years and they are objects that still appeal to us today. It goes to show that ceramics is a tradition that keeps going and is very important." Check out these works in the Chinese ceramics gallery at the Asian Civilisations Museum. Porcelain, China, about 1100 The base of this vase, shaped like a ring of delicate upturned chrysanthemum petals, offers an elegant counterpoint to its broad, rounded upper body. The petal-like edge of the base was created by cutting the wet clay at sharp angles. 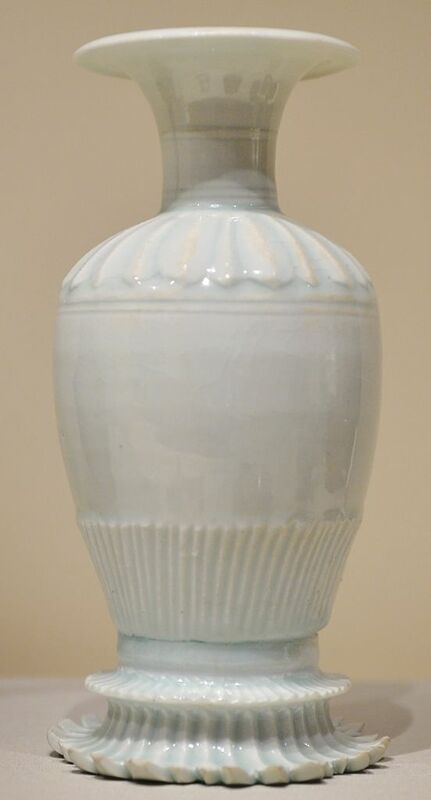 Vases of this type are not common. Another known example of it, which dates back to 1115, was excavated from a pagoda in Hebei, then ruled by the nomadic Khitan people under the Liao dynasty. 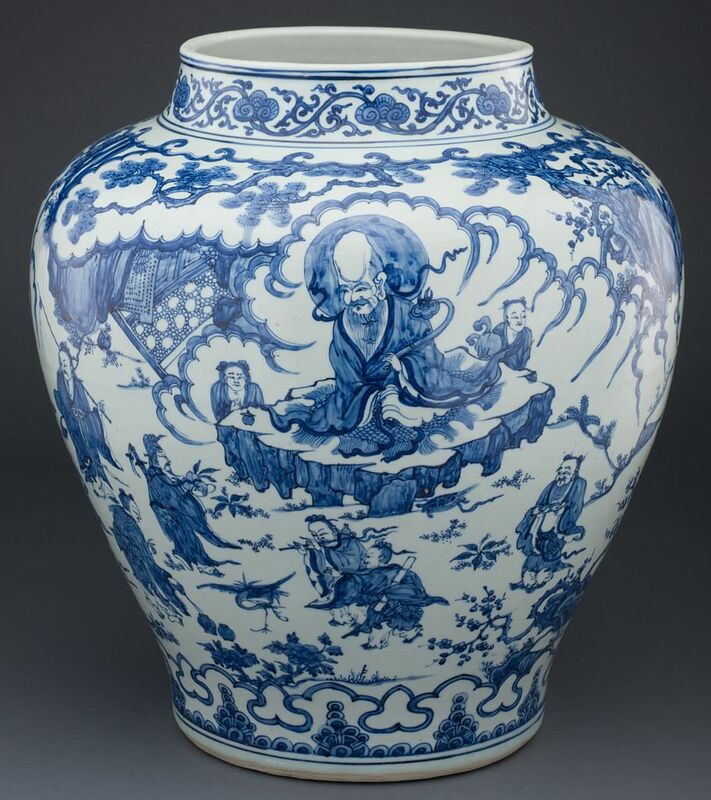 Porcelain, China, 1522 to 1566 This exquisite jar with a vivid depiction of Taoist immortals gathering to pay their respects to the god of longevity was probably made by a private kiln in Jingdezhen for the imperial court of Emperor Jiajing, who reigned from 1522 to 1566. While most Ming dynasty emperors were Buddhist, Jiajing was devoted to Taoism. The symbols of longevity that decorate the vase, including the crane, peach and lingzhi fungus, point to the emperor's obsession with immortality. It is widely believed that his death was caused by mercury poisoning from consuming an elixir promising immortality. Porcelain, China, Dehua, 18th century The pottery kilns in Dehua county of Fujian province are famed for their lustrous, white porcelain made from fine clay, which allowed it to be shaped into expressive figurines. This pair of miniature stages depicts two theatrical scenes. The stage on the left portrays a scene from the Ming novel, Jade Hairpin, which tells the story of an official's daughter who falls in love with a scholar who failed the imperial examinations. The stage on the right comes from the literary classic, Romance Of The Three Kingdoms, and it shows the warlord Dong Zhuo attacking his adopted son Lu Bu for consorting with a chambermaid. Correction note: An earlier version of the story stated that the Vase with a Chrysanthemum Base dated back to 1100BC, and another known example dated back to 1115BC. This is incorrect. It should be the years 1100 and 1115 respectively. We are sorry for the error.